To most people, the microscope is just a common lab instrument used to magnify tiny objects. But like any doctor, researcher or any other professional who uses the microscope will tell you, there is much more into the microscope that what most laymen know. Here’s a list of best student microscope and best USB microscopes to buy. It has a rich history, complete with a series of known scientists who contributed to its development. It is also perhaps the only lab instrument that has undergone several improvements. Today, there is a huge distinction between how the first ever invented microscope was used and how the modern day, technically use the most advanced microscope ever. This may sound strange, but no one really knows who invented the first microscope. 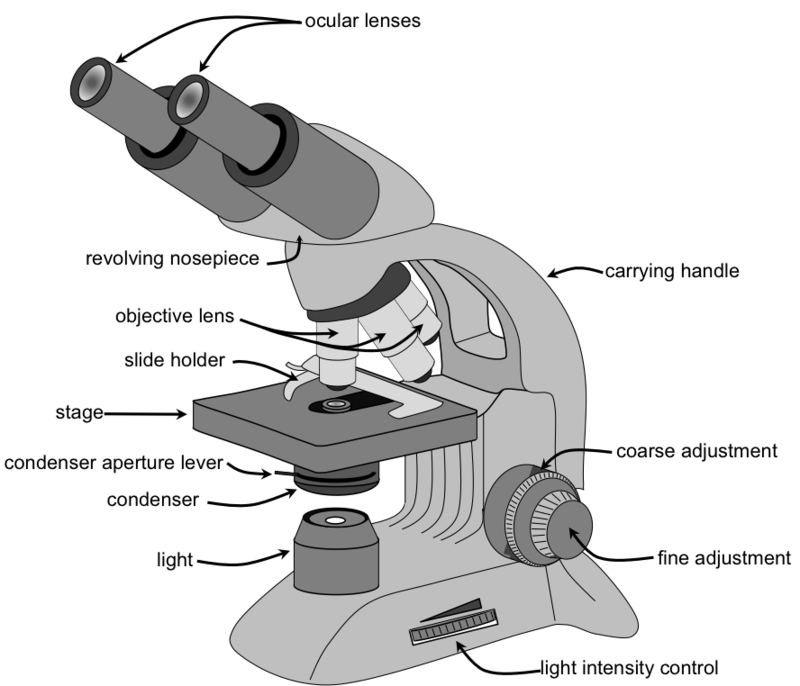 Historical records, however, allude that the first ever microscope to be invented was the optical microscope. Evidence suggests that the first ever compound microscope was used in the Netherlands around 1620. Cornelius Drebbel is mostly associated with the invention, although counterclaims suggest that Hans Lippershey, who successfully obtained a patent for the telescope was also the man behind the optical microscope. Then there is Zacharias Janssen who claims that his father invented the microscope. With all these suggestions, it is safe to state that indeed whoever invented the microscope is a figure whose identity is clouded in ambiguity. No one knows for sure. Interestingly, historians agree that one Giovanni Faber was the first person to use the word ‘microscope’. He coined the name for Galileo Galilei who was among the first people in history to own a compound microscope. Galileo would later refer to the instrument as ‘the little’ eye. Although the microscope was invented early in history, it really wasn’t used extensively in labs until 1644. By 1670s, scientists had already appreciated its role and significance in research. It became a permanent figure in nearly all major Italian laboratories. It later became popular in England, Netherlands, and Germany. Marcello Malpighi used it extensively in his analysis of biological structures. His analysis of the human lung is said to have been near accurate mostly because of his reliance on the microscope. Then came Antonie Van Leeuwenhoek who improved the microscope by up to 300 times magnification. His contribution to the instruments improvement was simple, yet effective. He sandwiched a thin glass ball lens in between two sizeable holes in two metal plates riveted close to each other. He then used adjustable screws to mount his specimen. It wasn’t long before this simple discovery bore fruits. Van Leeuwenhoek then rediscovered the red blood cells as well as the spermatozoa. He is noted as one of the most important figures as far as microscopy is concerned. You do not have to read wide to realize this as he is the man who discovered microorganisms. Early years of the 20th century saw yet another phase that changed and shaped the microscope for good. An alternative to light microscopy was discovered. Electrons were embraced and a light was ditched. Scientists figured out that electrons could produce better images. Ernst Ruska is credited as the man behind this discovery. His first development of the electron microscope was in 1931.By 1933 he had developed a fully functional electron microscope. The science behind the electron microscope is pretty much simple. It actually works the same way as the optical microscope, only that it uses both lights as well as electromagnets to come up with a better resolution. Ernst Ruska’s invention did not last for long though. In 1935, Max Knoll developed the scanning electron microscope, which became extremely popular from 1935 to 1950s. Ernst Ruska still remained a figure to reckon with, especially when he worked at Siemens. He went on to develop the first ever commercial transmission electron microscope. He held several conferences at this time. By 1965, his developments and findings were so significant that professors used them as sources of reference in their publications. In 1965, Professor Sir Charles Oatley together with his postgraduate student developed the first commercial scanning electron microscope. Cambridge Instrument Company picked up the microscope and marketed it as the ‘Stereoscan’. Further minor developments were made between 1960 and 1970. By 1980, first scanning probe microscopes where invented. First came the scanning tunneling microscope developed in 1981 by Hei rich Rohrer and Gerd Binning. Then came the atomic force microscope in 1986 developed by Gerd Binning, Gerber, and Quate. Modern microscopes use fluorescent and light microscopy concepts a lot. This can be understood because towards the end of the 20th century, precisely in the post-genomic era, several techniques for viewing and labeling cellular structures using fluorescent light were discovered. used to label the DNA. The rise and continual development of fluorescent microscopy had an impact on what scientists use today in labs. The confocal microscope, for instance, uses an advanced form of fluorescent microscopy. The concept behind it is not new though. The concept was in fact, patented way back in 1957 by Marvin Minsky. His developments faced major challenges because the use of lasers meant that practical application of his patent was limited. This did not last for long as 1978, Christoph and Thomas Cremer developed the first usable confocal laser scanning microscope. Their invention became popular and widely used in the 1980s until late 1990s. Today, the concepts developed by Marvin Minsky, Thomas Cremer, and Christoph Cremer are still in used although they have been improved. The modern-day technique mostly focuses on the development of high-resolution analysis of fluorescent-labeled samples. Other concepts like stimulated emission depletion microscopy have also been developed. 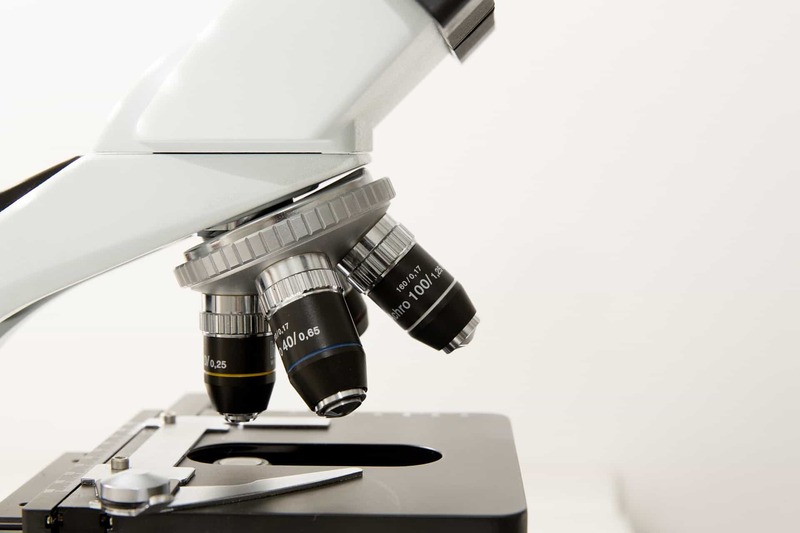 It is important to note that although the microscope emanated from one concept, major developments have seen inventions of better and advanced microscopes. There are now different classes, types, and categories of microscopes. They all do the same thing, which is to magnify objects that are invisible to the naked eye. There is like a whole new world when you magnify so close. What makes them different is how they are used, when they are used and even who uses them. Other obvious differences may have to do with the brands behind the microscopes or even how they are designed. 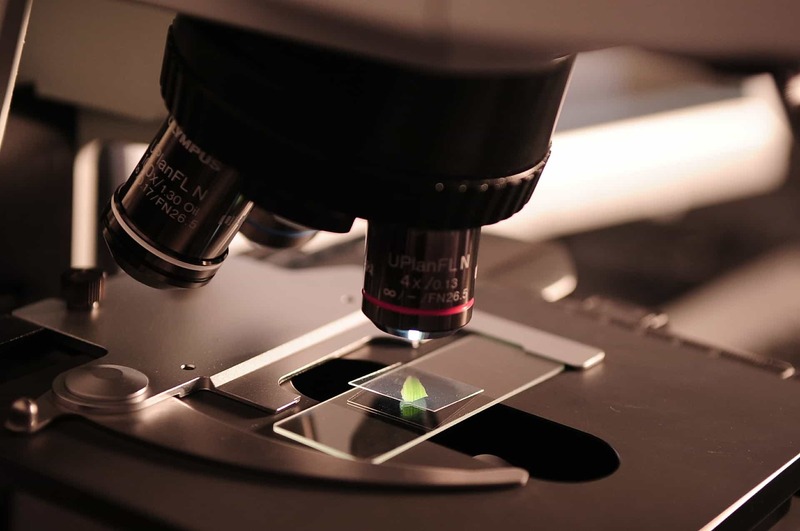 There are many uses for microscopes they are also used to look closer on a computer motherboard or other electronic components for example. This is important for anyone who wants to understand how the microscope works. It is also important to note that nearly all microscopes feature the same parts. They may differ by design though because of branding and marketing purposes. But the lens of microscope A from brand A does the same thing the lens of microscope B from brand B does. Eyepiece lens – The lens is located at the top of the microscope. You see through it anytime you use the microscope. They are 10X in power though some exceed up to 15x depending on the type of microscope uses. Tube – It is designed to connect the eyepiece and the objective lenses. It requires little maintenance compared to the other parts of the microscope. Arm – It supports the tube. It also connects the tube and the base. Its primary function is, therefore, to make the microscope stable or rather ‘sit’ on the table with ease. The base – it is the bottom part of the microscope. It is solely used for support purposes. The illuminator – It is in simple words, a steady source of light. It is usually about 100-110 volts. It is used as an alternative to the mirror. Its main work is to reflect light beams from an external source and direct it through the tube to the bottom part of the stage. Without the illuminator, it would be impossible to use the microscope. Stage – It is a flat platform where slides are usually placed. It features clips which are designed to hold the slides firmly in place. If you have a mechanical microscope, you can move its slide by turning its two knobs for a better view. One knob can move right and left while the other can move up and down. Turret – it is also known as the revolving nosepiece. It is located almost in the middle of the microscope. Its main function is to hold the lenses. It can be rotated to adjust power for clear viewing of the object. Objective lenses – A standard microscope has three or even four objective lenses. Each lens features different powers starting from x4 all the way to 10x, 40x and 100x. When coupled with the most common eyepiece lens which is the most common power lens, you get a total of up to 40x magnification. This is of course, not the best magnification. To get the best magnification that can guarantee a good resolution of about 1000x, you will need an advanced microscope complete with what experts refer to as the Abbe condenser. Note that the shortest lens in any microscope usually has the lowest power. The longest lens, on the other hand, is the one with the highest power. There is also the fact that lenses are usually color coded. If they are designed as per DIN standards, they are interchangeable between different microscopes. High power lenses are, for instance, retractable. That is, they are 40Xr. In other words, the end part of the lens will push inwards as soon as the lens hit a slide. The lens and the slide will, therefore, be protected. Finally, in regard to lenses, all quality and genuine microscopes should have parcented, archromatic and parfocal lenses. That way, you can use the microscope for long without worrying about it breaking down. 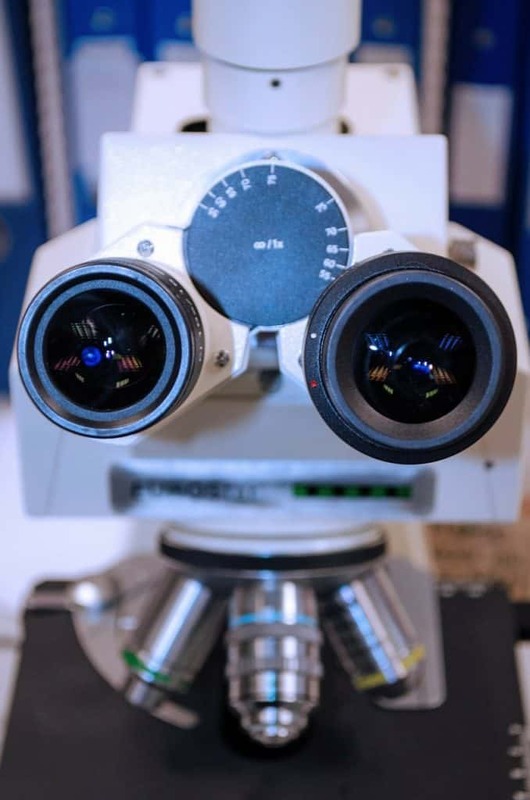 The rack stop – it is simply an adjustment whose sole purpose is to determine how close the objective lens of the microscope can get to the slide. You may not have to use the rack stop regularly. That is because you will only be forced to use it once in a while when you have to view extremely thin slides and you’re not able to focus the specimen using high power. There is a trick you can use to avoid using the rack stop regularly. If you are using thin slides and you find it hard to focus, place a glass slide under the main slide so as to raise the specimen higher. Make sure the glass slide you use is clear. Condenser lens – it focuses light on the specimen. They are most useful when adjusted to their highest magnification powers which are 400x and above. 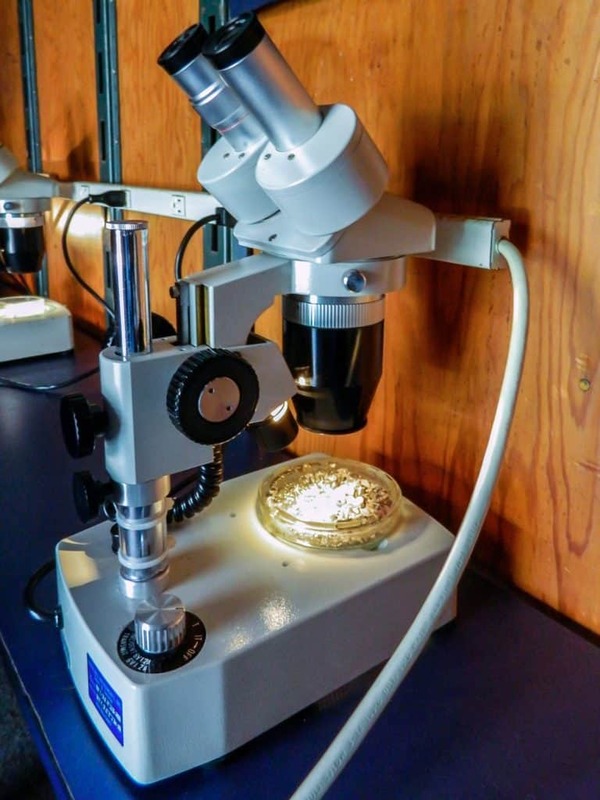 All microscopes with stage condenser lenses are usually more powerful and offer sharper images compared to microscopes without condenser lenses. Iris – The iris is also referred to as the diaphragm. It is used to adjust the size and intensity of light. It can be rotated for easy adjustment. Another important thing to note in regard to the iris is the fact that there are no laid down rules regarding any specific settings one can use for a particular magnification or power. Nearly all microscopes are user-friendly, with the exception of a few advanced and complicated microscopes used in high-tech labs. The thumb rule is that you should start to focus on a specimen with the lowest power objective lens. Crank the lens down as you view the specimen. Avoid touching the specimen as you view it. View through the eyepiece lens as you focus upwards until the image you see becomes sharp. Repeat this process again if you cannot get your image in focus. Avoid touching the specimen as you view it. View through the eyepiece lens as you focus upwards until the image you see becomes sharp. Repeat this process again if you cannot get your image in focus. First off, understand the basic microscope parts and functions. That way, it will be easy for you to know which type of microscope you should go for. Then consider other salient factors like the brand of the microscope you want to buy and whether the microscope is new or used. If and where possible, avoid used microscopes. Remember that the microscope is extremely sensitive. You have to take good care of it. Each part plays a crucial role. That is why it is important to go through a microscopes diagram before buying one just to understand what it takes to use and maintain the microscope. 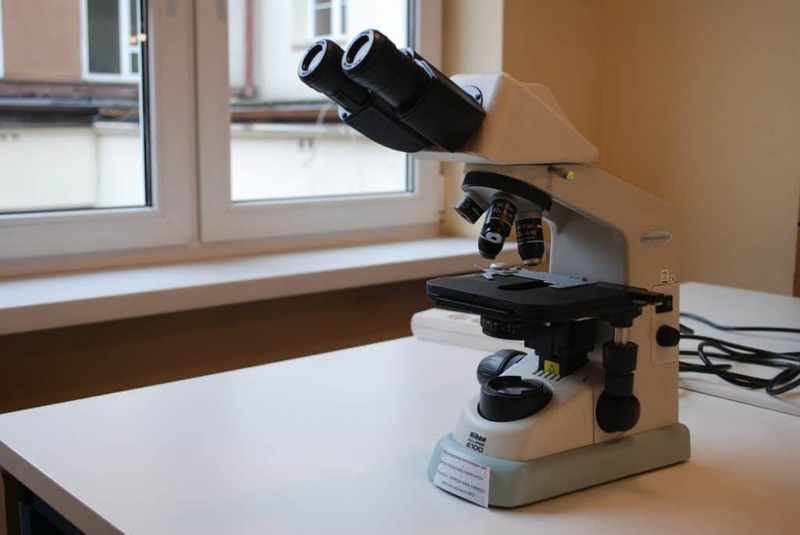 Read here about how to clean a microscope. Thanks for reading, if I have got something wrong or have anything to add please leave a comment below. If this helped you feel free to share it! Copyright © 2019 www.bestmicroscopecentral.com is a participant in the Amazon Services LLC Associates Program, an affiliate advertising program designed to provide a means for website owners to earn advertising fees by advertising and linking to amazon(.com, .co.uk, .ca etc) and any other website that may be affiliated with Amazon Service LLC Associates Program.